This very special, family run hotel sits in beautiful gardens with pools and natural swimming pond. Combining timeless tradition with contemporary style, the Theresia has an excellent reputation for its award winning organic cuisine (2 Gault Millau toques) this hotel has a reputation for excellence. Set in a pleasant location near Hinterglemm village centre and the Reiterkogel gondola. Beautifully furnished in a mix of rustic and modern style, the Eva village offers exceptional personal service, fine wine and cuisine. 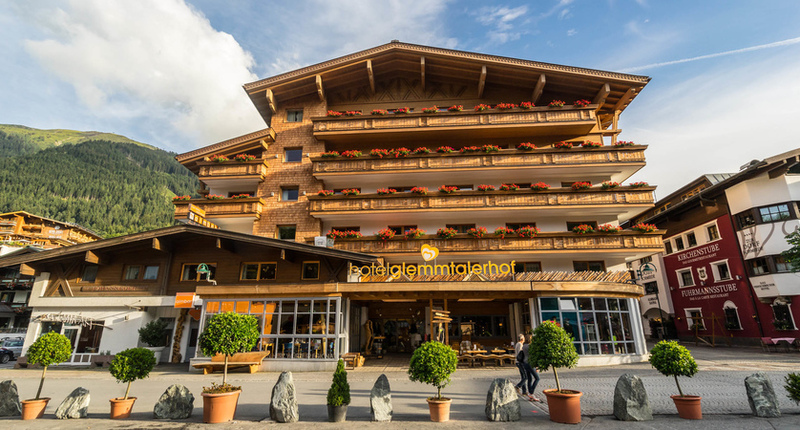 In a scenic, elevated position 200m from the centre of Saalbach with great views down the valley, the Hotel Kohlmais is run by the Gappmaier family and offers superb cuisine, a warm welcome and personal service throughout your stay. Set in wonderful panoramic landscaped gardens with unspoilt views of the surrounding mountains. Conveniently located in the centre of the village, the recently rebuilt Glemmtalerhof is justifiably proud of its 4 star superior rating. 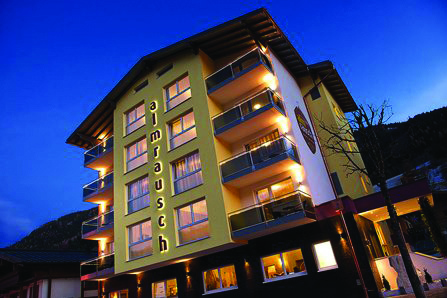 Located in the heart of Hinterglemm, the Almrausch offers modern comfort and attentive, personal service. In the wellness area you can relax in the infra-red cabin, saunas or relaxation room. This little gem is conveniently set in the centre of the village with easy access to all Hinterglemm has to offer including numerous hiking trails. This three star Hotel-Garni provides comfortable rooms with access to four star superior service and facilities at the adjoining Hotel Glemmtalerhof, which combined with the free 'Joker Card' makes the Garni Silvester great value for money. Free or discounted rates on many other local attractions. In Saalbach Hinterglemm, families always come first, as family time is precious. Fun and excitement are the most important factors to make sure that the children have a great time. It is healthy to get bored from time to time, but please not on holiday! - The Montelino’s Adventure Path (From the mountain peak to Kohlmais lift middle station you pass through the woods and over meadows, where various activity stations are). Montelino’s Water Playground is located at the end of Montelino’s adventure trail. -The Jump & Slide Park is surrounded by an impressive mountain panorama at Saalbach river’s source, it has an eight-meter high jump tower, a trampoline area and a freestyle ramp (kicker) for a fun day out for all the family. There is a full programme of events throughout the summer including village brass band concerts, torchlit walks, live music at various mountain alms, and regular evening entertainment with food stalls, traditional music and dancing. The mountains and valleys around Saalbach and Hinterglemm are a walker’s paradise with an extensive network of over 400km of marked paths and 4 cable-cars to enable nature lovers and hikers to explore the area with ease. Walks can be extended or shortened to suitability, from panoramic trails at the top of lift stations to longer ridge walks and extensive day hikes throughout the valley. Dotted all around are rustic mountain alms with stunning unspoiled views, making this area a joy to explore. A wonderful panoramic hiking trail from the top of the Schattberg gondola all the way across the top of the mountains to the Schmittenhöhe gondola above Zell am See. Fantastic views. Take the lift down and return by bus. A scenic loop walk from the top of the Reiterkogel lift, through forested paths to the Alpine Herbal Garden trail, stopping at the Reiteralm for lunch. The Saalbach Hinterglemm Tourist office runs an extensive programme of guided walks each week free with the Joker Card, which explore the full length of the valley. Up to 7 walks per week are provided and a hiking badge on offer for completion of the week. Suitable supportive footwear and a good level of fitness is required. Two Centres | Combine your stay in Saalbach & Hinterglemm with 3, 4 or 7 nights in another resort in Austria. We recommend St. Gilgen for a relaxing lakeside holiday experience.